CCG has a wonderful printed Newletter/Magazine issued 3 times a year. Membership has been held again to £8-00. In 2016 we acheived a record number of paid up households as members (91) -meaning we have well over 100 individual members. We are sad to report the recent death of Robert Starling, (far right of picture) who has served as Secretary of Craven Conservation group for many years. The service of Service of celebration and remembrance is at	St Alkelda’s Parish Church, Giggleswick at 11:30am, on Thur 23 Nov	with a buffet lunch afterwards at the church. Those attending the outdoor events should be appropriately dressed (spare clothes, waterproofs, walking boots, sun-hats, sun-block etc.). Bring food and a drink. Contact the event leader in advance, to see if dogs are permitted. Non-members will be asked to make a donation of £2.00 to cover CCG’s insurance costs. Event leaders have the discretion not to accept participants who are not suitably equipped or whom they consider unable to participate safely. Although all reasonable steps have been taken to ensure safety, participants join in at their own risk. It’s bargain curry evening, bring a bottle and a friend. Please confirm with Pat Higginson by evening of Friday 8 Jan on 01524 251083 (any later replies by email only please by Tuesday 12 Jan to ghigginson@austwick.org). Bank Newton Meadow Project: This is a project which CCG supports. 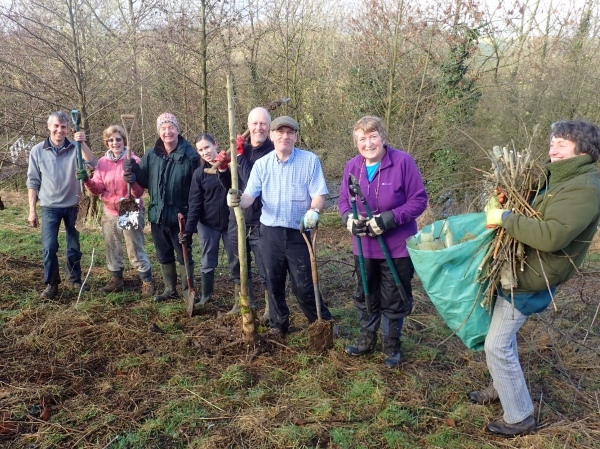 The first work party at Bank Newton meadow will be on Saturday morning 4th Feb, 10.00 am for a couple of hours. The work will be digging out some young trees and blackthorn that are all going to new homes. I am also having a burn up (some young Ash) and there will be some general clearing to do. Please bring spades, loppers and saws. Parking is limited so please car share. The postcode is BD23 3NT. If you can't make this one the next will be planting seeds and plugs in late Spring. Please contact Melanie Fryer . Join us for the day at this local nature reserve. No previous experience needed. We will provide tools and work gloves. The practical work will be light and suitable for a wide range of fitness. Meet at 10.00 at Greenfoot Car Park for a half hour walk from Settle to Cleatop Park Wood. We will be back to Settle for 15.00. The event is run by Craven Conservation Group in partnership with the Yorkshire Dales National Park Authority. If you would like further details please contact Dom on 01729 822403 or even better email to dominick@env.leeds.ac.uk. All members are welcome to come along to the Meeting Room at the Friends Meeting House, Settle . Moth Trapping for ‘River Flies’ An illustrated talk by YNU Yorkshire County Recorder, Sharon Flint. A talk for moth recorders, angler’s and anyone interested in Mayflies, Stoneflies and Caddisflies. Want to know what’s lurking in your moth trap apart from the moths? Want to know your Speckled Peter from your Caperer, your Blue-winged Olive from your Yellow Sally? Then this is for you! Townhead Court (across the road from Townhead Surgery) in Settle, entrance £3 for non-members and £1 for members. All welcome. .
YNU Conference at York:- On Local Nat History Societies. It is important that several/many people go from CCG. Please contact Judith, Sharon and Melanie if you are interested. We would like to take a display about what we are doing. Th 27 April and Sat 29 Apr There will be two work parties at Bank Newton Meadow- starting at 10.00 am for a couple of hours. We need to get a good amount of seed sown so please bring a rake. These will be the last work parties before September. Please contact Melanie Fryer before coming. Join Sharon & Peter Flint to explore the trails in Gisburn Forest, visiting Bottoms Beck and some nearby marshy areas to examine aquatic and terrestrial invertebrates. There should also be good botanical interest. Meet at the Stocks Reservoir car park at the foot of School Lane (SD7320356517) at 10:30am. This is a pay and display car park with a charge of £3.00 for All Day Parking. Please dress appropriately and stay as long as you wish (bring a packed lunch or alternatively there is a café at the nearby Gisburn Hub). Yorkshire Naturalists’ Union - VC 64 Meeting near Fewston - All CCG mmembers welcome as an affiliated society of the YNU. At YNU meeting there are usually some quite expert naturalists in a range of topics - Arrive at the meeting in good time and try(?) and find the leader and then decide what topic you woud like to investigate and stay with that (relative) expert or group of people. Join David Fisher for a 5-mile circular walk around the Tatham Fells, south of High Bentham. The ground will be rough, involve gradients but at an easy pace so that any botanists have time for some recording along the way. Please dress appropriately and bring a packed lunch. Meet at Lairgill car park in High Bentham (SD670693, LA2 7JZ) to share cars to start point at Whitray. Contact David on 01524 261449 to confirm. BOOKING ESSENTIAL (max 20 places) by phoning Rachel Benson on 015242 41357 or email info@broadrake.co.uk. All welcome – Cost £12 Adult, £3 Child, £25 Family ticket..
Meet at the YDNP Centre car park (SE010887). Moth trapping will be arranged on the preceding night (contact Terry Whitaker t.whitaker1@btinternet.com Tel: 015242 62269). All CCG members welcome as an affiliated society of the YNU. See Thurs 25 May event for details. Plant survey along the Old Railway embankment; Ingleton Help Roger and Liz Neale survey the botanically rich old railway embankment at Ingleton. Easy walking (just one stile to negotiate). Meet at Ingleton Community Centre car park (SD693730; LA6 3HG). Refreshments after at Higher Westhouse. BOOKING ESSENTIAL by phoning Roger & Liz on 01524 241155. Thur 29 June 18:30 Wild Flowers at Borrins Farm Join Helen Sergeant to explore the wild flowers of this lovely site. Approaching on the B6479 from the south: pass through the village of Horton-in-Ribblesdale, then after about 1.5 miles, a track leads off on the left over a cattle grid. Follow it up the hill and then keep round to the right for a third of a mile to reach Borrins at SD784748 (BD24 0HX). Join Melanie Fryer for a botanical survey along this lovely stretch of the Leeds & Liverpool canal. A circular route with a stony lane on the way back; mostly flat, total distance about 3 miles with a further length to survey if time permits. Cafe and pub in the village on return. Meet in East Marton on A59, parking alongside the village green (SD908508, BD23 3LP). Visit an upland hay meadow undergoing restoration and help identify the insects. Broadrake will welcome passing walkers on the local bridleway to take a short loop around the site and see how many wildflowers, bumblebees, hoverflies, butterflies and other insects you can identify. There is also a wildlife pond, young native trees and limestone outcrops which are a good picnic spot. Further information available from Rachel Benson on 015242 41357 or email info@broadrake.co.uk. Parking is available at Broadrake at SD740792, otherwise it's a pleasant walk of about 2 miles from parking at either Ribblehead or Chapel-le-Dale. Drop-in event for those on foot, bike or horse. All welcome (children must be accompanied by adult; dogs on leads). 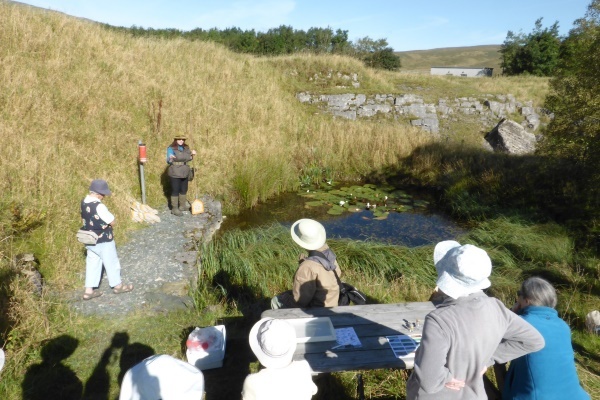 Join Roger and Liz Neale for an introduction to the relationship between the rocks, landscape and wildlife in KIngsdale. Meet at Higher Westhouse (SD678742) for coffee, introduction and car-sharing. 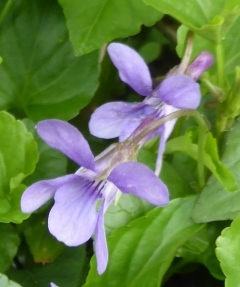 Bring a packed lunch, discover the area’s rich fern flora and enjoy a cup of tea after. BOOKING ESSENTIAL by phoning Roger & Liz on 01524 241155. Limited places so book early to avoid disappointment. Rawthey Ramble – VC65 Botanical Recording Park at the car park near SD71229789 100m before Rawthey Bridge (if you can’t see the bridge you have not gone far enough as confusingly there is another car park beforehand). Commencing near Rawthey Bridge, we will explore shake holes and swallow holes on the northern part of Bluecaster before visiting some fine riverside habitat. Distance, 4km; difficulty, moderate. Excursion to Leeds & Liverpool Canal (VC64). Meet in the car park off Canal Road, Kirkstall, Leeds at SE27653404. Joint meeting with the Bradford Botany Group. All CCG members welcome as an affiliated society of the YNU. 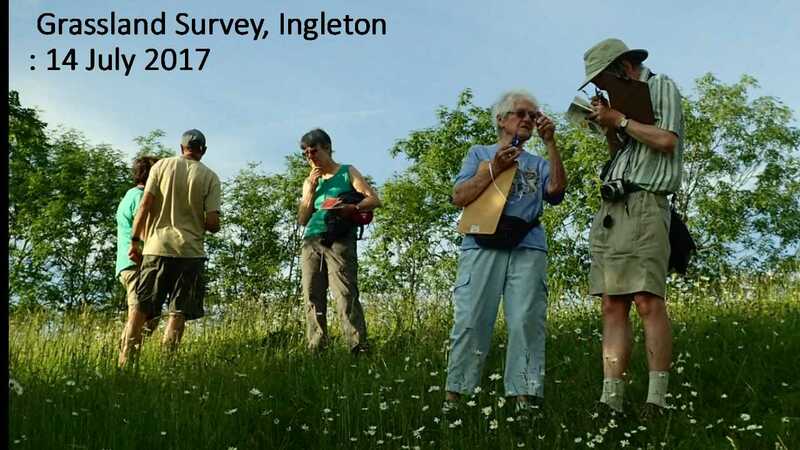 Heath Snail Hunt at Lower Winskill Join Tom Lord to search for the Heath Snail Helicella italia. Meet at Lower Winskill. Limited number of places, PLEASE BOOK with Tony Moverley, preferably by email tony.moverley@gmail.com or on 01729 825464. Thur 7 Sept: 19:30 Planning Meeting All members are welcome at the Meeting Room at the Friends Meeting House, Settle. Thur 19 Oct: 19.30 Planning Meeting All members are welcome at the Meeting Room at the Friends Meeting House, Settle. Mon 23 Oct: 19:30 Managing our Waterways in the North & Ecological Challenges: Illustrated presentation by Jonathan Hart-Woods, Environment Manager with the Canal & River Trust. He will discuss some of the current issues arising from invasive plant and animal species, fish passage, pollution and water quality. At Townhead Court (across the road from Townhead Surgery) in Settle, entrance £3 for non-members and £1 for members. All welcome. Join Chloe Lumsden and discover the magical world of moths, followed by breakfast with local moth experts at Ingleborough NNR, near Ribblehead. BOOKING ESSENTIAL on 015242 42021 or chloe.lumsden@naturalengland.org.uk . See Thurs 1 June event for details. Excursion to Dentdale (VC65) SD74208648. If attending, contact Adrian Norris (0113 2745244) adrianxnorris@aol.com for conchology, or Sharon Flint (01524 261801) flintsentomologists@btinternet.com for freshwater ecology. All CCG members most welcome as an affiliated society of the YNU. Excursion to Skipwith Common (VC61). Meet at in the car park on King Rudding Lane (SE644373). All CCG members welcome as an affiliated society of the YNU. Those attending the outdoor events should be appropriately dressed (spare clothes, waterproofs, walking boots, sun-hats, sun-block etc.). Bring food and a drink. Contact the event leader in advance, to see if dogs are permitted. Non-members will be asked to make a donation of £2.00 to cover CCG’s insurance costs. Event leaders have the discretion not to accept participants who are not suitably equipped or whom they consider unable to participate safely. Although all reasonable steps have been taken to ensure safety, participants join in at their own risk. Work parties at Grass Wood (grid ref. SD 985652) Meet at the reserve car park. Bring gloves and a flask of coffee. We will be doing general maintenance jobs. For all the dates shown please meet at 09.30 at the Quarry Car Park off Grass Wood Lane (NGR 985652), unless directed otherwise. The location of the work site will be shown on the reverse side of the YWT notice board for those that arrive later in the day. Regular volunteers are reminded to bring the tools with which they were issued. A limited range of tools can be loaned to irregulars. Robust working clothes, and lunch for a full day (weather permitting), are also required. The exact nature of the work will depend on conditions, the number of volunteers present, and the results of contractor's activities. More than one working party may be formed on the day, depending upon priorities and opportunities. All volunteers are asked to be mindful of health and safety issues and our collective responsibility to each other when working. Do not hesitate to ask questions if there are aspects of our work that you would like explained further or that concern you. Yorkshire Dales National Park Guided Walks and guided walks of other organisations. 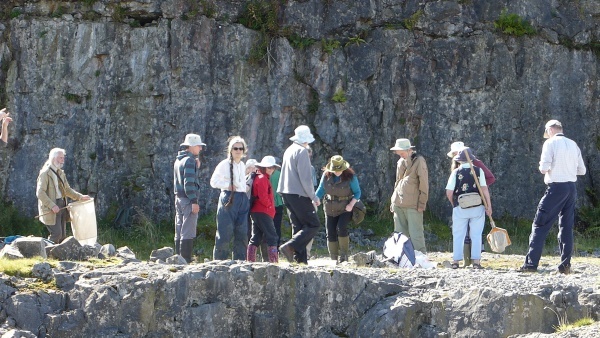 Guided Walks in the the Yorkshire Dales, on various natural history topics. Run by the Yorkshire Dales National Park. Although aimed primarily for tourists, These are very good value for money for locals too. and we don't have to travel far to get to the walks. North Craven Herigate Trust - Good articles in past issues. Harlequin ladybird survey - News- A new ladybird has arrived in Britain . But not just any ladybird: this is the harlequin ladybird, Harmonia axyridis , the most invasive ladybird on Earth.- Look out for sightings in Craven as it comes north. Terry Whitaker would like to receive butterfly and moth records for this part of Yorkshire VC64 and VC65. Non members are very welcome to contribute results too. See the Yorkshire butterfly distribution map that the records contribute to.